A car helps you move from one place to another. However, the same car can turn your life into a living hell. There are actually thousands of people that lose their lives due to road accidents. Some people actually suffer serious injuries that condemn them to being bed ridden or using a wheelchair for the rest of their life. Regardless of that, you still have to travel in a car unless your destination is a walking distance. According to research done by the traffic department, a huge number of accidents are caused by not observing common safety measures. The good thing is that there are ways of remaining safe while in the car. If you apply the safety tips outlined below you will increase your chances of staying out of trouble while on the road. This one goes without saying. Before you start the car’s engine, you should first buckle up. 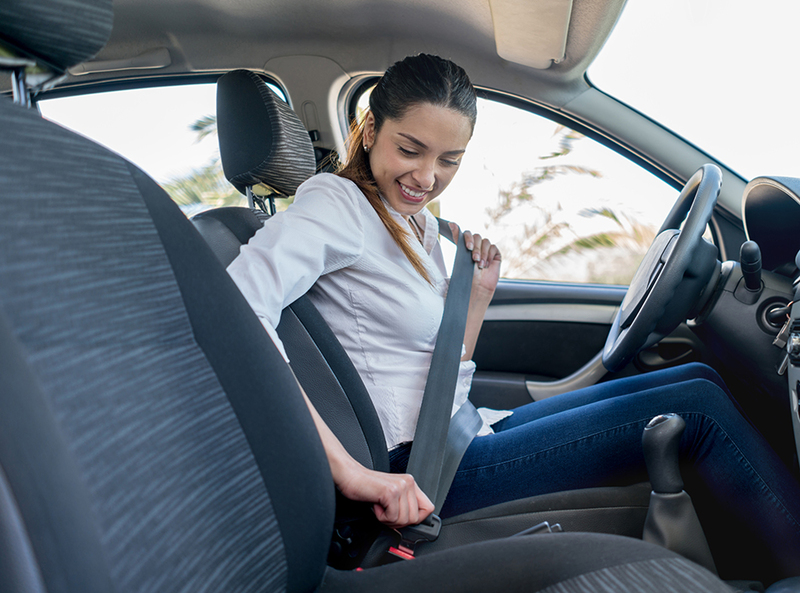 Wearing a seat belt helps in ensuring that you are not thrown out through the window during an accident. Some vehicles actually have two belts; one for the waist and another runs from the shoulder to one side of the waist. In fact, you should confirm that all the occupants of your car have buckled up before beginning the journey. Even children as little as 1 year old should be fastened with a seat belt. In fact, there are special car seats for children that are designed to be put behind the driver’s seat, facing backwards. This is done to prevent the kid from being bumped against a hard surface during an impact. For more insights, read this guide to keeping children safe in cars. You can remain safe while on the road by simply observing traffic rules. For a start, you should overspeeding. This is because it increases chances of losing control over the car. For instance, if you are driving in the countryside and a cow comes out of nowhere and stands in your way, you will not be able to avoid hitting it if you are driving fast. Similarly, if you are driving on a road that you are not familiar with, you might find a bump when you are at a high speed. Such an impact can cause the car to roll several times. You should also avoid overtaking other motorists when the road is not clear to avoid crashing with an oncoming car. You should also read road signs and do as advised. If the sig indicates that there are sharp corners ahead or a steep slope, you should just slow down. Every car is equipped with indicators for allowing other road users predict what you want to do. Driving a car that doesn’t have indicators is a traffic offense. If the indicators of your car are not functioning, you should have them repaired or replaced right away to avoid putting the lives of other road users in danger. As a matter of fact, common sense dictates that you should turn on the indicator before changing lanes or when you want to make either a left or a right turn. Hand signals are not encouraged because they can’t be seen at night. If your car has broken down in the middle of the road, it’s advisable you put a warning sign a few meters away. This helps in preventing your car from being hit by other motorists. Driving while under the influence of alcohol is a huge mistake. This is because you might sleep on the wheel and crash with another vehicle or even hit a tree. Driving under the influence is actually a major traffic offence that can send you to jail for several years. If you have to drink make sure you get a taxi to take you home. In this day and age, hailing a taxi is like a walk in the park. All you have to do is install Uber or Lyft app in your phone and call any cab that’s close to your location.